Remember the HTC M9? 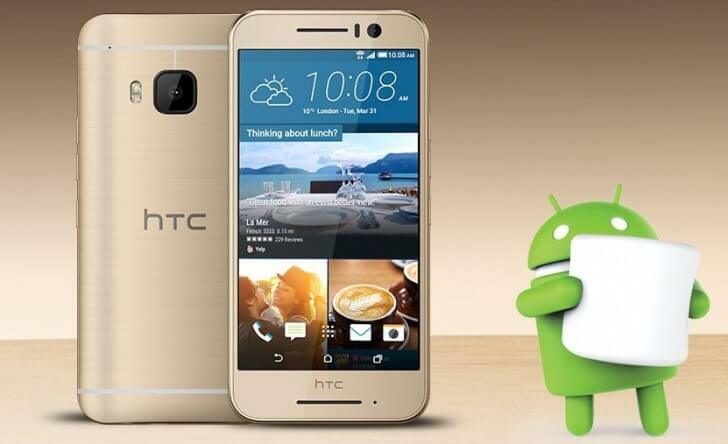 Well, HTC has unveiled a similar looking smartphone in Germany, named as HTC One S9. It is priced at 499 Euros (approx. Rs. 37,425) and will be up for sale in Gunmetal Grey, Silver, Gold color options. The device comes with a 5-inch full HD display, and is powered by a 2.2GHz Octa-Core MediaTek Helio X10 (MT6795T) chipset coupled with 2GB of RAM. On the software front, it runs Android 6.0 Marshmallow with HTC Sense UI skin on top. Coming on to other specifications, the device sports a 13-megapixel primary camera with dual-LED flash, 28mm lens, f/2.0 aperture, Optical Image Stabilization (OIS) along with an UltraPixel selfie camera. Similar to other HTC phones, this one also features dual front-facing BoomSound speakers paired with Dolby Audio. The HTC One S9 is a metal-clad smartphone with 4G LTE connectivity. Even though HTC is touting the One S9 to be a “mid-range” smartphone, but we do not really agree with that notion. Given the pricing and specifications, we believe that the device is clearly overpriced. Maybe its time for HTC to reconsider its ‘One’ series of smartphones. What do you think about this latest offering by HTC? Share your views through the comment section below.